and Bukovel Ski lift ride. Ivano Frankivsk, Verkhovyna, Yaremche, Kolomyja, Lviv by deluxe AC coach. As per itinerary including all entrance fees. No extra charges. Fully escorted from Kyiv throughout the entire itinerary by a professional, English-Ukrainian speaking manager for groups of 10 or more. Local bi-lingual guides will be provided at each destination for groups of than 10. Please be at your gateway AIRPORT at least 3 hrs prior to flight departure time. Your baggage must be checked to your final destination KYIV (code KBP). If you have more than one piece of checked baggage, a surcharge of $25 will be collected upon arrival in Kyiv for porterage. 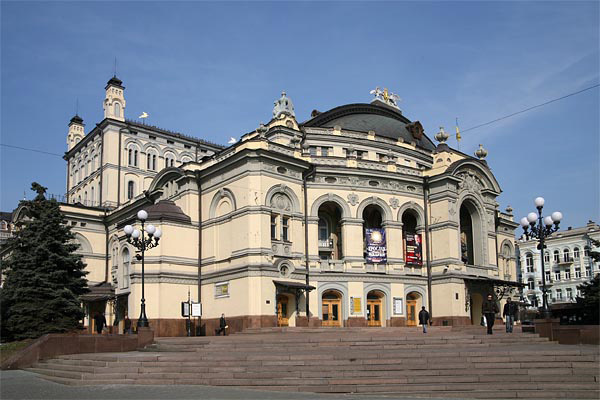 Upon arrival in Kyiv, you will be met and transferred to group hotel. In the evening, we proceed to the Memorials on MAIDAN to pay our respects and lay flowers in memory of the Nebesna Sotnia and other heroes of the MAIDAN. 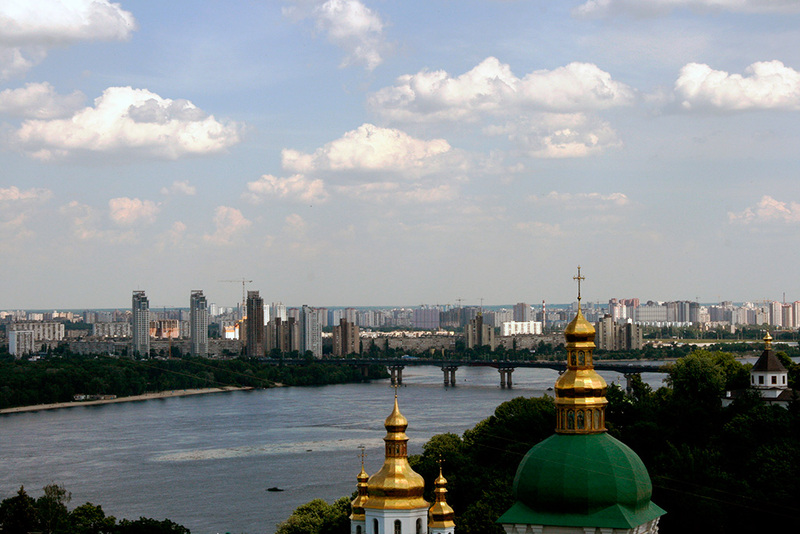 Morning panoramic city tour of Kyiv includes: Khreshchatyk Boulevard, Volodymyr’s Hill, Kyiv National University, the Opera House, St. Volodymyr’s Cathedral and the 11th century Golden Gate. The highlight of this tour is St. Sophia Cathedral constructed in the 11th c. by Prince Yaroslav the Wise. Its construction reflects a strong Byzantine influence, and its interior is a unique harmonious union of mosaics and fresco paintings. 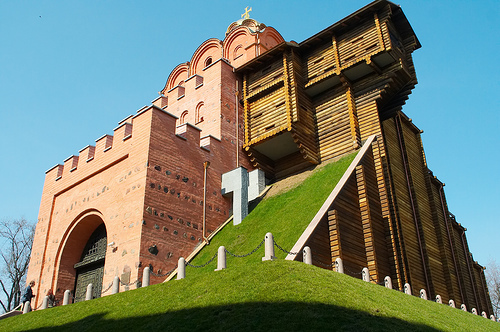 Directly opposite St. Sofia (about 500 m.), you will visit the newly (1999) reconstructed St. Michael’s Sobor. Afterwards we leave you in the Uzviz artisan section for an afternoon of shopping in an open air bazaar of more than 100 kiosks. Afternoon free. Dinner under own arrangements. Halfway from Kyiv to Chernihiv, we approach the sleepy town of Kozelets, where the “Nativity Of the Virgin” Cathedral complex (built in 1763) greets you. Kozelets is a real treat for historians, because of the unusual role it played in central and east European power games. 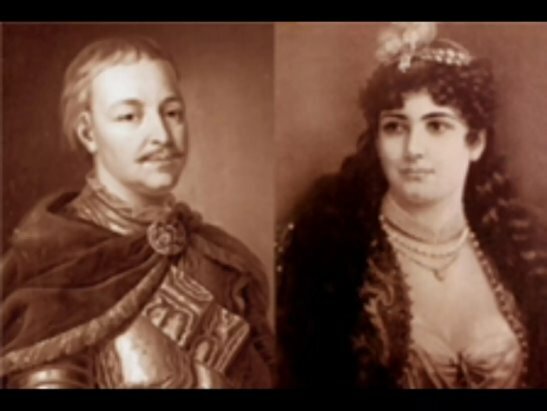 Empress Elizabeth secretly married a local Cossack, Oleksiy Razumovskiy and under his influence she showed good will towards Ukraine. Arriving in Chernihiv, one cannot help but notice the brilliance of the golden domes of the various churches and cathedrals. 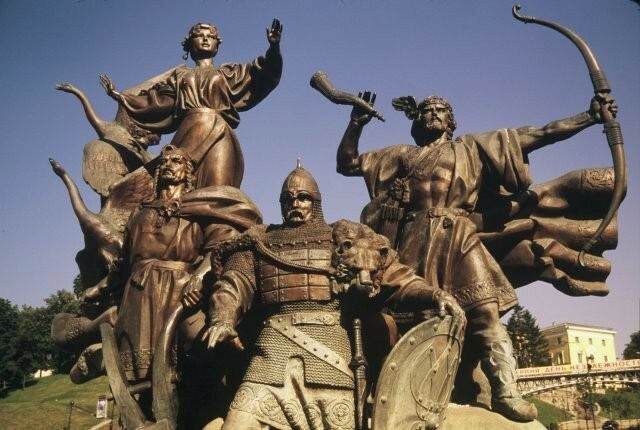 Christianity came to Ukraine in 988, and churches began to be built during the reign of Volodymyr the Great, the prince who converted Ukraine to the new religion. In Chernihiv, there are several architectural examples of Ukrainian Baroque and the Classicist style. The churches that will be visited in Chernihiv: Illinsky Church, Boryso- Hlibsky Cathedral and the Spaso-Preobrazhensky Cathedral. These landmarks have hardly changed since the time they were built in the 11th and 12th centuries. The Spasky Cathedral (built in 1036), later renamed Spaso-Preobrazhensky (Cathedral of the Transfiguration of Our Saviour) is Chernihiv’s oldest and most visited church. 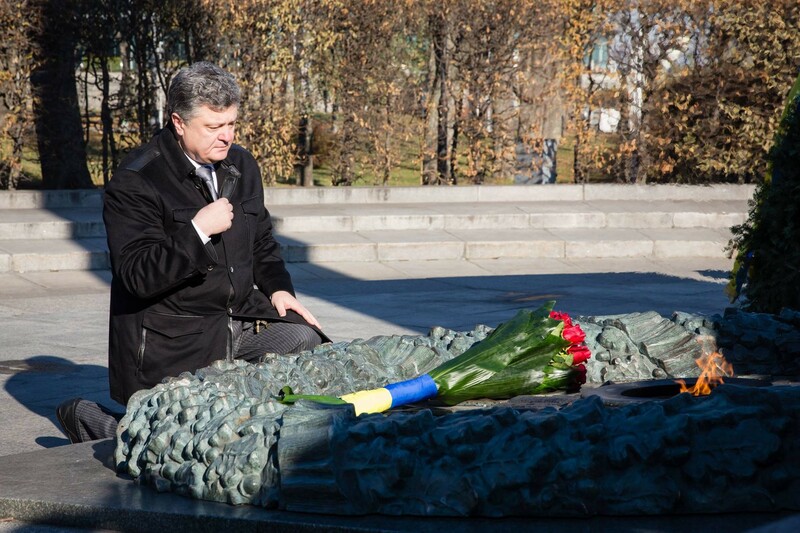 It witnessed many historical events, one particularly tragic for Ukraine. It was in this church that the blessing for the union with Russia was given in January, 1654. 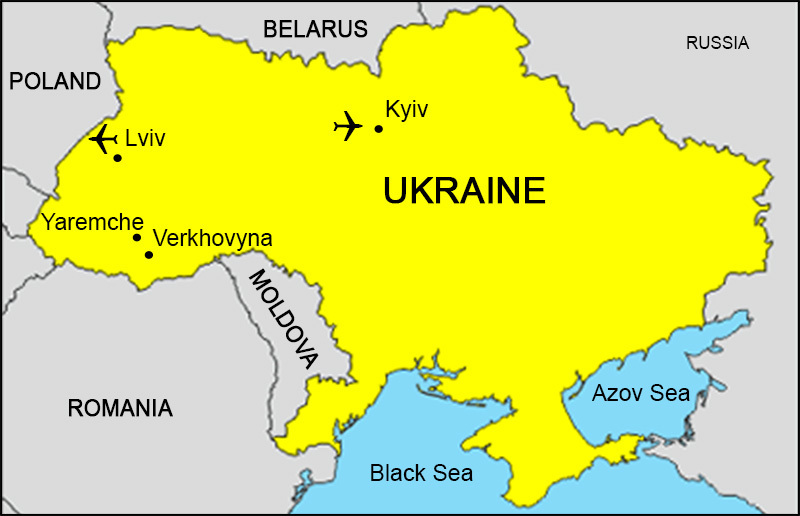 This union proved to be disastrous for Ukraine, and over three centuries passed before Ukraine was able to regain her independence. 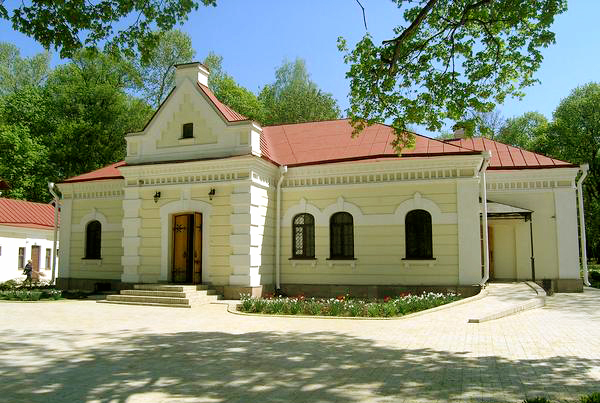 Baturyn served as the official residence and administrative capital of the Ukrainian Hetmans. After Ivan Mazepa was elected hetman of Ukraine in 1687, Baturyn began to flourish as the capital. Travelers from distant lands were impressed with its grandeur. In November, 1708, Tsar Peter I learned about Mazepa’s alliance with his staunch enemy, Swedish King Charles XII, and he ordered Russian forces to destroy the city and kill all the inhabitants. Only one building was left standing. It belonged to Kochubey, the Attorney General, who opposed Mazepa and supported the Russian Tsar. It was this support that saved Kochubey’s house from destruction. It is of a modest size, but its architectural elegance makes it a remarkable landmark. Today, Baturyn is a small town with whitewashed houses and shady gardens, a place of long ago glory. Morning transfer to the new Ukrainian Patriarchal Cathedral of the Resurrection of Christ for AM Liturgy. 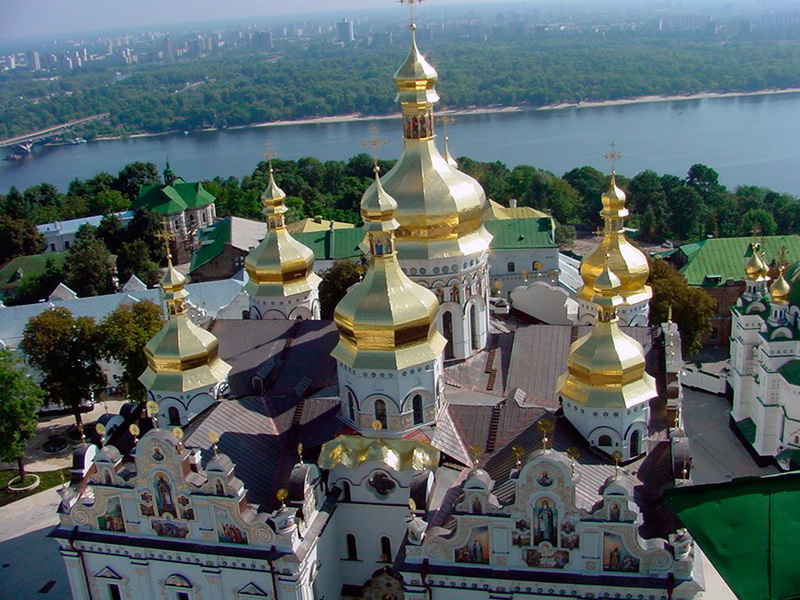 Afterwards, we continue our sightseeing of Kyiv with a tour of Pecherska Lavra (Monastery of the Caves), an active monastery founded in the 11th c. and center of Christianity for Kyivan-Rus. Its complex of churches reflects a unique Ukrainian baroque style which is only surpassed by the beauty of the newly reconstructed Uspenskyj Cathedral (1998), destroyed by Soviet mines in 1941. The labyrinths of the “near” and “far” caves hold over 115 burial niches containing remains of St. Antoniy, Nestor the Chronicler, and many religious and political leaders. World-renowned Scythian Gold treasures are exhibited within its walls. After breakfast,. we join our touring coach for a drive through some of the most enchanting Carpathian villages Kryvorivnia and Kosiv . This picturesque area is called Hutsulshchyna – take time to marvel at the examples of modern day Hutsul architecture with its wooden buildings, red-clay tiles and steep roofs built for the heavy snow of the mountains. 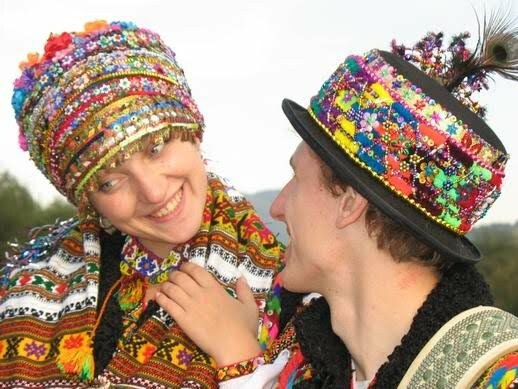 Yaremche – the capital of the most colorful ethno-cultural group of Ukrainians – the Hutsuls. 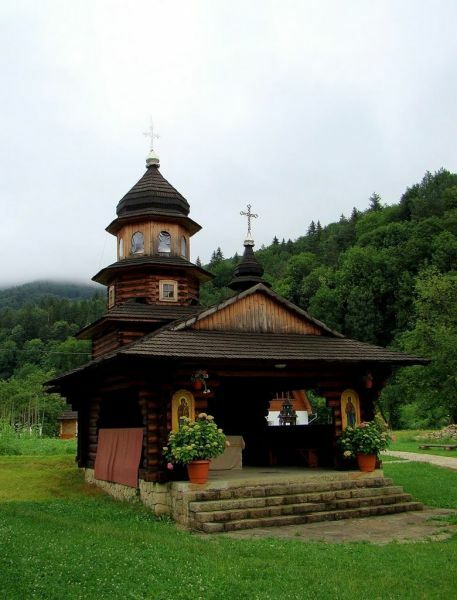 Travel through the picturesque area called Hutsulshchyna and marvel at the examples of modern day Hutsul architecture with its wooden buildings, red-clay tiles and steep roofs built for the heavy snow of the mountains. The morning finds is in Bukovel ski resort for a ride on a ski lift to see the spectacular Chornohora Mountain range (weather permitting), and then to Yaremche for overnight and dinner at the famous Hutsulshchyna Restaurant. Yaremche – this morning “we shop until we drop” at its famous bazaar/kiosks. Then we continue to Kolomyia, the heart and soul of Hutsul culture. We visit the famous Pysanka Museum and the Hutsul Applied Arts Museum. Lunch at a local restaurant. We proceed to Lviv through Rohatyn to view its newly constructed statue of Roxolana. Estimated arrival in Lviv 8PM. Situated in the western part of Ukraine, Lviv, the “City of Lions”, is its heart and soul. Founded in the 13th c. by King Danylo Halytckyj, it was named in honor of his son Lev (Leo). 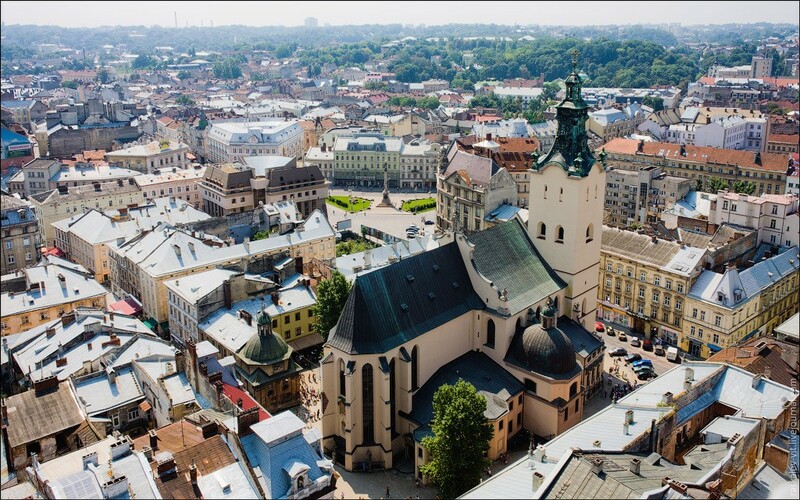 Through centuries of Polish, Austrian and Soviet occupation, Lviv was the gateway to “the East”, but with independence in 1991, Lviv is finally free to develop its own Ukrainian identity. Highlights of today’s morning city center walking tour are Rynok, the 15-16th c. city square, the Dominican Church, Armenian Church Complex, the Chapel of the Bojim Family, the Armenian Quarters and the Opera House. Remainder of the day free, with lunch and dinner under own arrangements. Today we proceed on a bus tour of Lviv and will visit Vysokyj Zamok, Lviv University, St. George’s Cathedral, the stronghold of Western Ukraine’s Catholic Church and Lychakiv Cemetery Our final stop is the memorial museum “Prison on Lontskoho Street” – the first museum prison in Ukraine dedicated to the memory of those who suffered at the hands of Ukraine’s occupiers. From 1939-1941, thousands of political prisoners were brutally tortured and executed by Soviet authorities. The prison was in use till 1991, when the Soviet Union collapsed. Many well-known Ukrainians were imprisoned here for their anti-Soviet activities. Day free. Gala Dinner at a local restaurant. Morning transfer takes us to Lviv airport for your flight home. The open air Museum of Folk Architecture deserves special attention. The exhibit includes wooden structures from the 18th –20th cent., grouped into villages surrounded by beautiful natural landscapes. The Lychakiv Cemetery is known for its beautiful and unique tombstone sculptures. Ivan Franko, Solomia Krushelnytska, Filaret and Mykola Kolessa, Volodymyr Ivasiuk, Volodymyr Tysovsky and other notables are buried there. 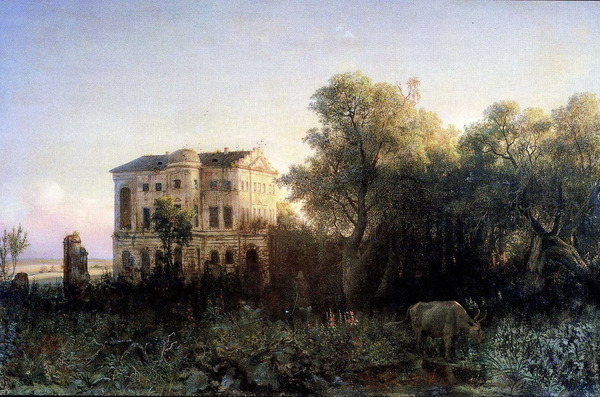 The National Museum has the largest icon-paintings collection in Ukraine. The Ethnographic Museum displays the rich folk heritage of Western Ukraine. 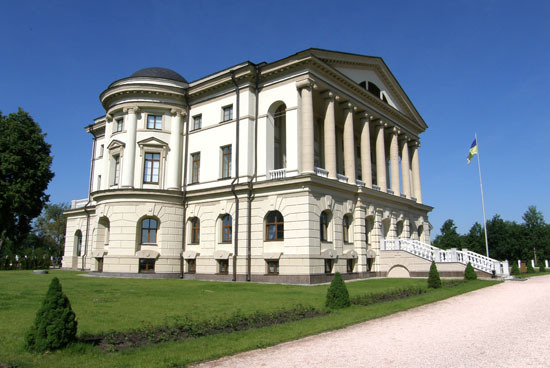 After Lviv, Zhovkva has the largest number of architectural monuments in the region. Highlights include the ancient Castle of the 17th –18th cent., the Market Square, the Roman Catholic Parish Church of 17th c. (Renaissance), Basilian Monastery, Church of the Nativity and the 17th century Synagogue. Krekhiv, village in the Zhovkva district, 40 km from Lviv, was first mentioned in historical sources dating to 1456. It is best known for the 17th -18th cent. Basilian Monastery. Many structures have been preserved: St. Nicholas Church, Holy Trinity Church, bell tower, walls and gates. Restored in 1991, the monastery has a beautiful linden tree alley from the 17th century. After Kyiv’s Cave Monastery (Pecherska Lavra), Pochaiv is the second largest Orthodox shrine in our country. 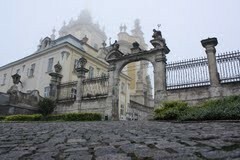 It is located in the Ternopil region, 140km northeast of Lviv. 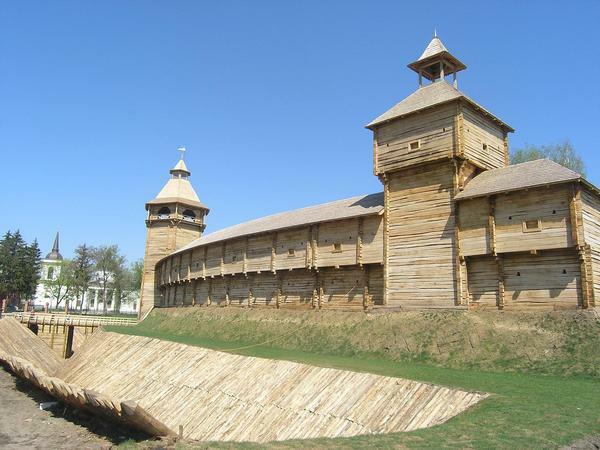 According to legend, it was founded by Kyiv monks fleeing the Tatar invasion of 1240. The Monastery itself was first mentioned in the chronicles of 1527. The central church of the Monastery complex is the Dormition Cathedral (1771-1783). 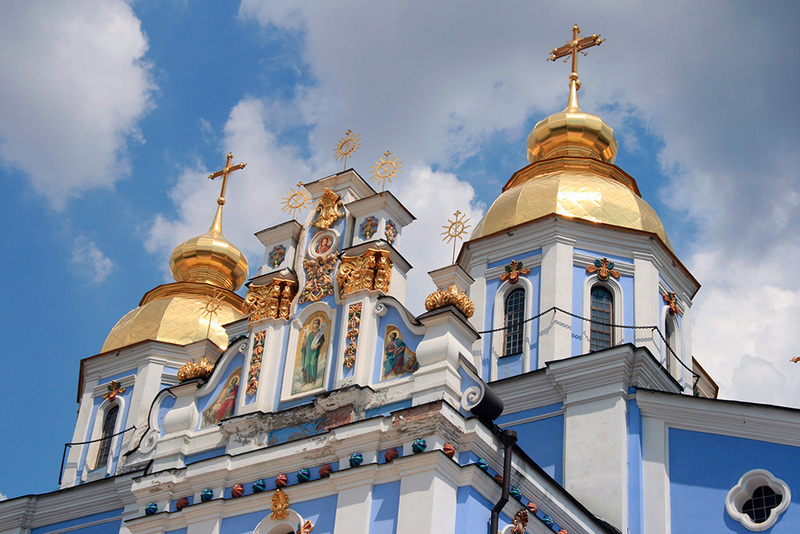 The Pochaivska Lavra is one of the most celebrated pilgrimage sites in Ukraine. Among its many relics are the footprint of the Mother of God in a rock, spring with healing water and the miraculous icon of the Blessed Virgin. The Olesko Castle, located 70km west of Lviv, is a historical architectural structure dating from the 13th -18th cent. 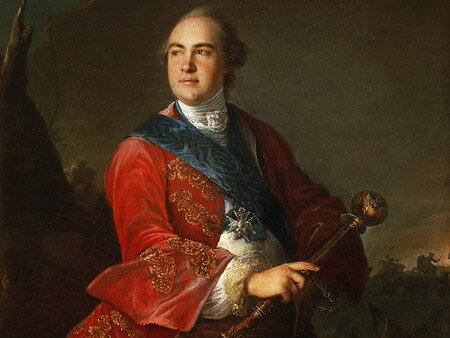 Bohdan Khmelnytsky spent his youngest years at the castle. After the 1975 restoration, a museum was established and the Castle now serves as an exhibition site for the Lviv Gallery of Arts. It features five hundred paintings, sculptures and works of applied art from the 10th -18th cent. 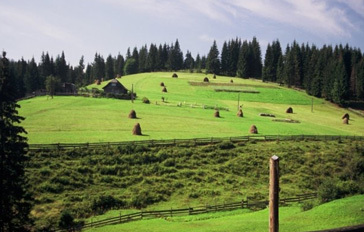 Day 1 – At 7:30 AM, we join our touring coach and head to the heart of the Carpathian Mountains. First we visit one of the richest forest regions of Ukraine, Ivano Frankivsk, the Subcarpathian capital of Ivano Frankivsk oblast. After a short walking tour of city center, enjoy lunch at Nadia Hotel. Then continue to Yaremche, capital of the most colorful, ethno-cultural group of Ukrainians – the Hutsuls.Travel through the picturesque region called Hutsulshchyna and marvel at the examples of modern day Hutsul architecture, with its wooden buildings, red-clay tiles and steep roofs, built for the heavy snow of the mountains. Before checking into our hotel for overnight, we stop at the famous Yaremche Bazaar to buy some of their creative art crafts. 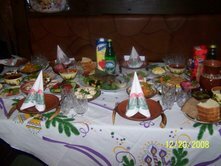 Dinner tonight at specialty Restaurant Hutsulshchyna. Day 2 – After breakfast we continue to Kolomyia, the heart and soul of Hutsul culture, famous for its master ceramic artists and woodcarvers. We visit the unique Pysanka Museum and the Museum of Folk Art of the Hutsul Region. Lunch at a local restaurant. Afternoon return to Lviv through Rohatyn to view its newly constructed statue of Roxolana. 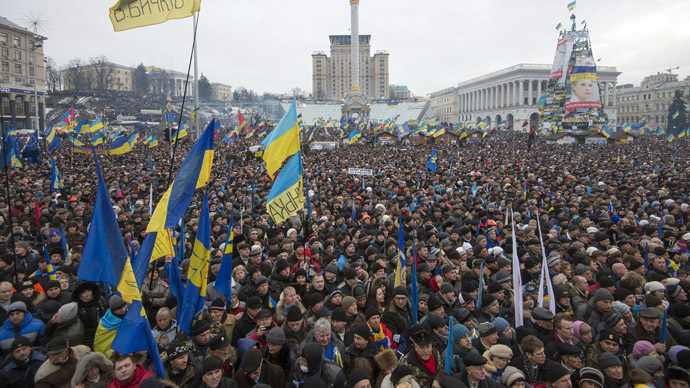 Estimated arrival in Lviv 7PM. Prices are subject to change, pending number of participants on tour and US $ fluctuation.